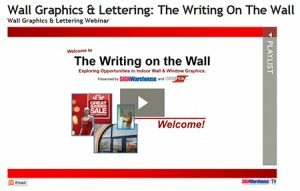 We present “Wall Graphics & Lettering: The Writing on the Wall”, an ORACAL Wall Graphics Webinar. John Coley and I were joined by ORACAL Graphic Products Market Manager Craig Campbell and Southwest Territory Manager Sam Featherston for an exciting and informative presentation about opportunities in removable wall graphics. Hundreds of attendees logged on for the live event. Since it’s now online, thousands more are benefiting from the latest insights in removable interior graphics. Just in case you missed it and are wondering whether you should take a peek, here are the top five takeaways to whet your appetite. Fig 1: Markets for interior wall graphics are everywhere. Potential customers abound. • Architectural design firms. Companies like these are looking for skilled installers to deliver professional quality interior graphics to their upscale clients. • Restaurants: lots of chains are using local themes in interior décor to connect with local markets. Don’t be afraid to approach franchises. They may be clients for printed murals with local themes. • Online retailing: e-commerce continues to drive sales of custom removable wall graphics. Many customers who began with a vinyl cutter and some ORACAL 631 have branched out into digital printing. Most are selling Fatheads-style removable wall decals. But there are lots of other markets for digitally printed removable wall décor. • “Almost any space is available due to new film options.” Printed wall decals are no longer limited to glass-smooth surfaces. If you choose the right media for the job, you’ll find lots of potential new print customers. • Craig advises that almost all printed wall graphics should be laminated to protect them from greasy, grimy fingerprints, and other contaminants. Craig shared a lot of insights about common pitfalls and how to avoid them. Not every wall surface is vinyl-friendly. It’s not like paint. There are some things even the best vinyl won’t stick to. Here are the most common reasons for adhesion failure. • Uncured paint. Make sure newly painted walls have had at least 3 weeks to cure. • Aridity. In colder climates, winter wall graphics often fail because heaters dry out the air. Relative humidity levels below 50% make it very difficult for vinyl to stick. • Low VOC paints, stain blockers. Fashionable “low VOC” paints are difficult to decorate. Stain blockers are worse. If spaghetti and crayons won’t stick, chances are neither will vinyl. • Proper surface prep is a must. Be sure wall surfaces are free of dust, dirt and greasy fingerprints. These can all lead to adhesion problems. One of the most exciting aspects of the webinar is the Beyond The Wall section. Craig and Sam talked a lot about vinyl applications for new spaces like windows, counter tops, and furniture. 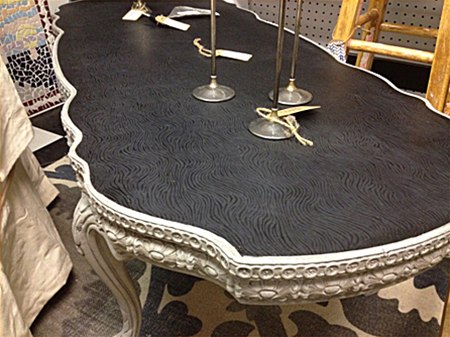 FIG 2: ORACAL 975 Dune on a custom table. • Frosted & Etched Films: Retail and professional customers are using etched and frosted film to enhance glass surface areas and create semi-private spaces for worker and customer environments. These can be very lucrative markets. • 8300 is the New 631. Craig says the upward sales trajectory of ORACAL 8300 Transparent vinyl looks a lot like 631 did a few years ago. People are discovering 8300 as a creative and economical way to imitate the look of custom colored acrylic panels. And artisans are using it to mimic stained glass. Try some on your next window or architectural project. • Wrap it! Some creative customers are using ORACAL 975RA structured cast film to finish counter tops and furniture (Fig 2). 975RA is a paint replacement film engineered for customizing vehicles. But it’s not limited to automotive applications. Those are just a few of the highlights from our Writing on the Wall Webinar. Our Partners from ORAFOL shared a wealth of information about exciting possibilities in removable vinyl graphics for walls, windows, and beyond. Click here to view the full webinar at your leisure, on SW-TV, or view below.